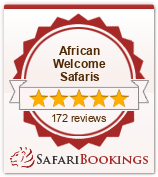 At African Welcome Safaris we understand the importance of a family holiday and we think we have found the perfect choices for the whole family. Mum and Dad will have the chance to relax and the children will return home with not only a superb experience but knowledge of the African bush that can never be taught in a class room. On arrival into Cape Town your chauffeur will meet you – and help you relax into your wonderful new surroundings, during your transfer to your ‘home from home’. Once you have settled in, your hire vehicle will be delivered to your hotel – and now your adventure begins. Cape Town is incredibly child friendly, and offers an endless amount of exciting sightseeing for both adults and children alike – Winelands / Beaches / Penguins and much much more…. Your drive from Cape Town to Knysna is not a short one, and we recommend an early start, with plenty of scenic stops along the route, to enjoy the stunning views. Lake Pleasant Living is a B & B offering one or two bedroom suites. Great for mum and dad to relax while the children sleep. Knysna, situated in the Garden Route is a superb base to explore Knysna, Sedgefield, Oudtshoorn and Plettenberg Bay, as well as being a short drive to local amenities. The adventure begins….. Shamwari Game Reserve is delighted to be able to take children from the age of 4 years on game drives, staying at our dedicated childrens lodge at Riverdene – with guaranteed interconnecting rooms, they are sure to have a great time. If you have younger children we have specialist child minders to take care of them while you enjoy your game drives. Your experienced ranger will be on hand to guide you through the African bush, explaining not only the Big 5, but also the smaller plains game, plant life and fantastic birding that make up the 25,000 hectares of land you are about to explore. You will enjoy evening and morning game drives during your stay. Of course you can change or extend your stay – or simply return to the airport for your flight home.